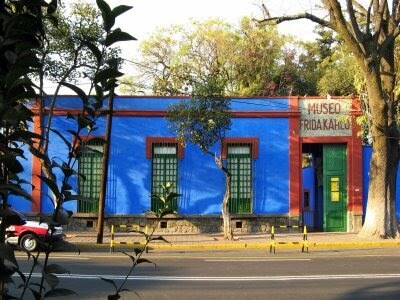 I finally made it out to Frida Kahlo's house yesterday, The Blue House (La Casa Azul). 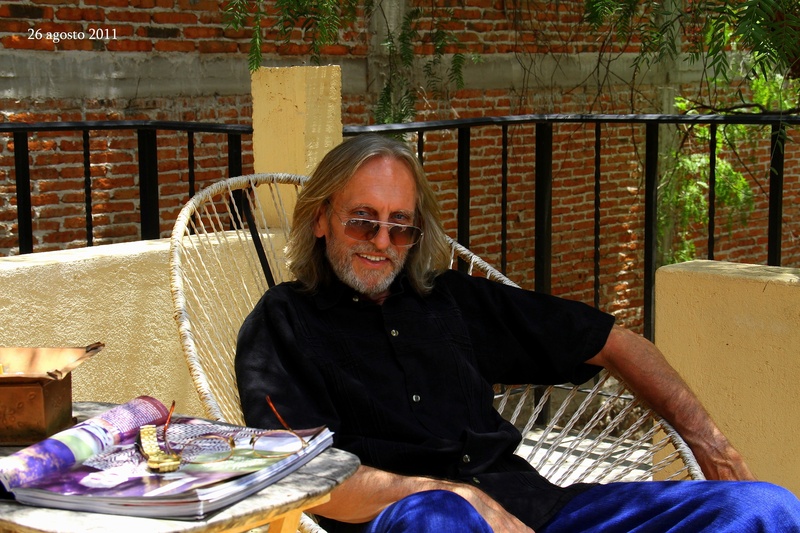 It is located in Coyoacan, a delightful section of Mexico City. The house really is blue, and I mean really blue. Photographs are prohibited inside. 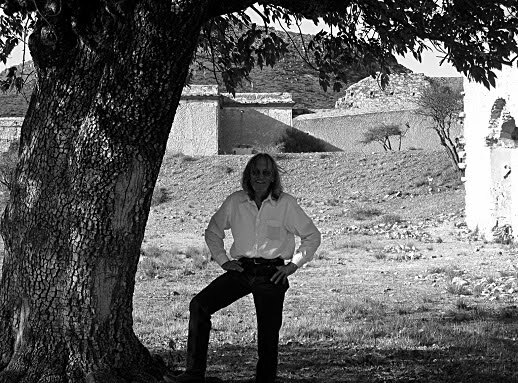 Consequently, I have only photos taken in the interior courtyard, which was much larger than I expected. Actually, the entire house is much larger than I expected. Frida built her own little Mayan-style pyramid in her courtyard. The sign says that sitting on the pyramid is prohibited. In lieu of interior photographs, I found this slide show on youtube. I do not know what happened to the background music, but the photos are excellent. The most interesting room was her studio of course. And a slide show of some of Frida's paintings, many images of which I have previously posted here. La Mexicana and "The Purse" holding court in the courtyard. These are the twin volcanoes, Popocatépetl and Iztaccíhuatl, in the distance from the hotel window. This is a rare site. The volcanoes are normally completely obscured by the smog. I've been there, Steve. But it was a long time ago, so thanks for the pictures. Frida, Diego, and that whole crowd were fascinating characters, weren't they? I know I have devoted a good deal of writing to Rivera, Kahlo, Trotsky and other of that era here and elsewhere, Ruthie. The simple reason is that I do find them fascinating. 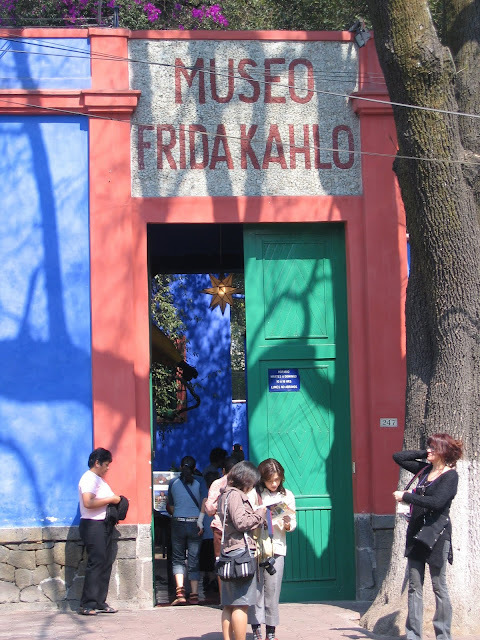 To be in Frida Kahlo's studio and be able to look at all the artifacts there--her easel, her wheelchair, her left over paints, the books on her shelves in the studio, the little adjoining bedroom where she rested during the day--was an affecting experience for me.